When football fans think of the greatest running backs of all time a few names usually come up. Names like Walter Payton, Emmitt Smith, Gale Sayers. There is a player some would consider greater than those previously named, Jim Brown. Jim Brown was taken by the Cleveland Browns with the 6th overall pick in the 1957 NFL Draft. Brown was a first-team All American at Syracuse University. His senior season at the school was the most impressive. During the 1956 College Football season Brown ran for 986 yards and scored 14 touchdowns in only eight games that season. Jim Brown’s pro career would mirror the success of his college days. When he came to Cleveland the Browns had yet to find an incredible running back since Hall Of Fame running back Marion Motley quit the team in 1954. During his rookie season Brown ran for 942 yards and had 9 touchdowns. Brown really turned it up a notch in his second season in 1958, rushing for 1527 yards with 17 touchdowns. This amazing running back went on to seven seasons with 1,000-yards or more during his nine year career. His highest rushing yardage season came in 1963 when he ran for 1,863- yards. Brown’s 1963 season became the running back record for most rushing yards in a single season. The record stood until 1973 when O.J. Simpson ran for 2,003-yards. Jim Brown’s final season came in 1965. His final game was on January 2, 1965 in the NFL Championship game against the Green Bay Packers in Green Bay, WI. Brown ran for 50-yards, caught 3 passes for 44-yards but scored no touchdowns. The Packers defeated the Cleveland Browns by a score of 23-12. During his final campaign Brown ran for 1,544 yards and once again recorded 17 touchdowns on the ground. Brown would decide to leave football following 1965 season to pursue an acting career. Many around football could not believe he would leave the NFL while still proving to be one of the best players in the game. 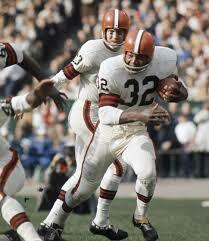 At the age of 29 Jim Brown was retired from football and would never play again in the NFL. His nine season career still stands out as one of the best in NFL History. Jim Brown amassed 12,312 yards (An NFL record not broken until 1984 by Walter Payton) while rushing for 80 touchdowns and caught 20 touchdown passes. Brown led the league in rushing for eight of his nine seasons and was selected as a Pro Bowler in every season he played in the NFL. In 1971 Jim Brown was inducted into the Pro Football Hall Of Fame. When going back through the records and accomplishments during his playing days it is hard to deny that Jim Brown is one of the greatest players of all time. He may no lomger hold any of the amazing records he set during his career but they are still impressive 49 years after he retired. He was a bruising power back the likes we have never seen since and may never see again. Jim Brown truly left the game of football while still on top. On November 22,2014 in Norman, OK NCAA history was Made. Oklahoma Sooner running back Samaje Perine set a new NCAA record for rushing yards in a single game with 427-yards. 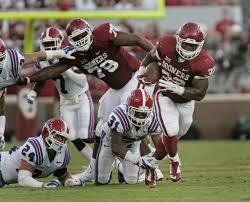 Perine did so in a blowout game where his Sooners defeated Kansas by a score of 44-7. Perine also scored 5 touchdowns during this incredible performance. An interesting note to this accomplishment is how new the previous record was that Perine broke. Just one week earlier on November 15, 2014 Wisconsin running back Melvin Gordon broke the previous record with a 408-yard rushing performance. With that performance Gordon broke a record Ladainian Tomlinson had held with a 406-yard performance in 1999. It is pretty amazing that a record that stood for 15 years was broken twice in one week. Samaje Perine set the bar far higher than Melvin Gordon did just one week earlier. This record will be very hard to beat and will not likely be done any time soon. With the 4th overall pick in the 1965 NFL Draft the Chicago Bears selected running back Gale Sayers from the University of Kansas. 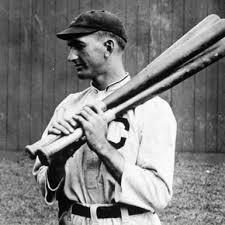 Sayers had been a two time All American and was highly touted coming out of college. The Bears were in need of a solid running back following the 1964 season in which the teams leading rusher was Jon Arnett who finished the season with 400 yards on the ground. Ronnie Bull was the second rusher in terms of yards with 320. Sayers would come in and rush for more yard than both backs combined. Gale Sayers was a very influential running back that changed how the game was played from the back field. Sayers was an explosive rusher with the ability to stop, move and go at practically any given moment. Sayers would also become one of the best kick returners the game had seen up to that point. Gale Sayers had a phenomenal debut season in 1965. On the ground Sayers was practically unstoppable with 867 yards, 14 touchdowns. Sayers also gained 507 yards receiving and scored 6 touchdowns. Lastly Sayers returned 16 kicks for a total of 898 yards and 2 touchdowns on kickoffs and punt returns combined. Despite the incredible season Sayers had he could only help the Bears so much. 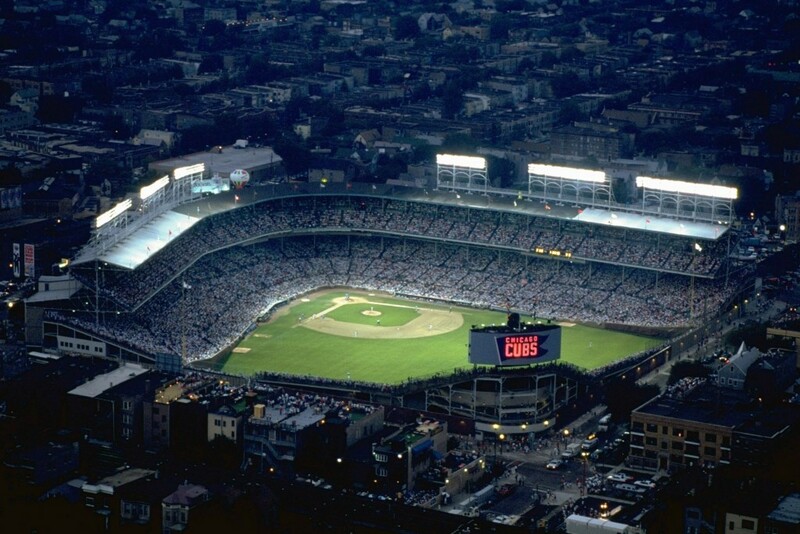 The Bears finished that season with a record of 9-5 and placed 3rd in the NFL Western Conference. 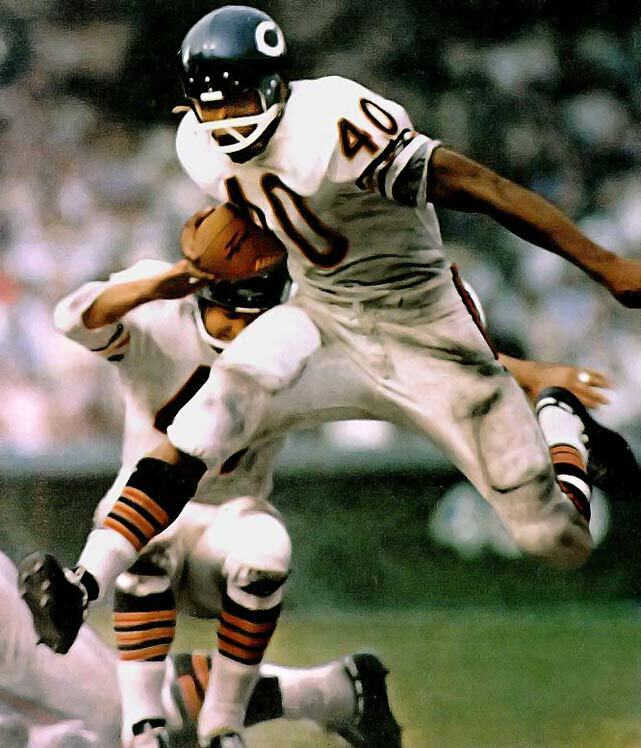 Gale Sayers was named the NFL Rookie of the at the end of the 1965 season. That season he set the record for the most touchdowns scored by a rookie with 22, a record that still stands today, almost five decades later. Sayers would only play seven total seasons before retiring after the 1971 season. He was inducted into the Pro Football Hall Of Fame in 1977. Future Hall Of Famer Peyton Manning added his name to another record in NFL history on September 5th, 2013. The Denver Broncos and Manning defeated the defending Champions the Baltimore Ravens by a score of 47-29 in Denver tonight. 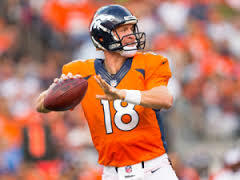 The most remarkable stat of all in the game was the number of touchdown passes Manning threw. Peyton Manning threw 7 touchdown passes. The receivers on the other end of these TD’s were Demaryius Thomas (2), Wes Welker (2), Julius Thomas (2) and Andre Caldwell (1) . Five of the touchdowns came in the second half of this opening game. With this feat Peyton Manning joins only five other QB’s who have thrown this many touchdowns in a single game. Some of those he now shares the record with are all time greats like Sid Luckman, Adrian Burk, George Blanda, Y.A. Tittle and Joe Kapp. Joe Kapp was the last to throw 7 TD’s in a single game in 1969. This is a truly amazing record and one that Manning will add to all of his other records to land him in Canton.